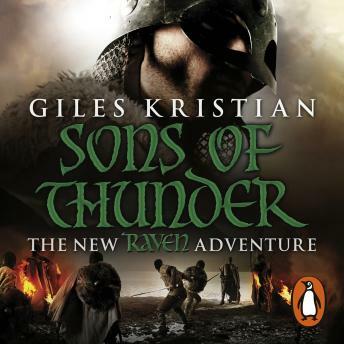 Random House presents the audiobook edition of Raven 2: Sons of Thunder by Giles Kristian, read by Philip Stevens. Raven and the Wolfpack plough the sea-road in pursuit of the Saxon traitor, Ealdred, who has left the Fellowship for dead and fled to the Frankish Emperor Charlemagne and the promise of untold riches. Sailing in search of revenge, the pagan Norsemen venture into the heart of a Christian empire that would wipe their kind from the face of the earth, a place where danger lies in wait around every bend of the great river up which they travel.